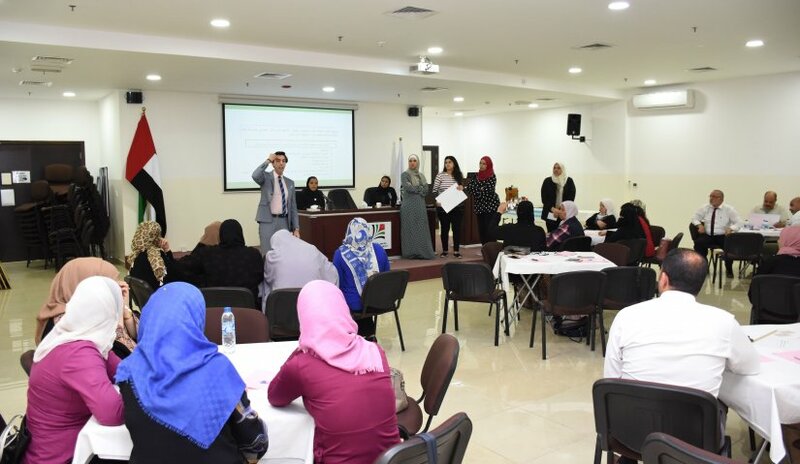 The Deanship of Student Affairs at Al Falah University organized a scientific meeting under the title "The Art of Managing Student Behavior" attended by educational mentors and school principals from Dubai. At the beginning of the meeting, Dr. Samer Abdul Hadi, Dean of Student Affairs spoke about the main objective of the meeting, namely, to identify the best methods in managing students' behavior aimed at reducing their behavioral problems and the correct and scientific ways of educating them. Dr. Abdul Hadi also added that the most important factor in this regard, which the seminar aims to achieve is to focus attention on creating the appropriate educational, psychological and social environment for the student. If a student is in a positive environment, it would be easier for the school to modify the student’s behavior in a more optimistic and progressive condition. During the meeting, the topic of self-awareness was highlighted and the importance of discovering the positive qualities possessed by each individual.